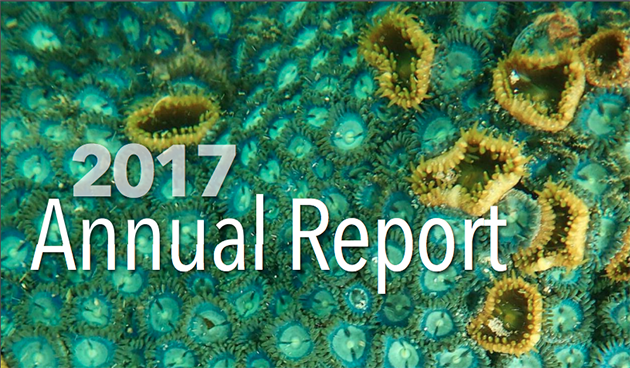 The 2017 annual report is now available online to download. In 2017, BIOS made critical investments in human capital by successfully broadening the reach of its education programs. Additionally, the Institute acquired several new tools that further enhance its research capabilities, helping the organization and its scientists keep pace with cutting-edge advancements that are taking place worldwide. Highlighted in this year’s report are examples of the increasing diversity of BIOS’s student population, as well as details of the new instrument systems that provide high-resolution data on the biological, chemical, and physical properties of the ocean and ocean-atmosphere interactions.